Dr. David Ireland is founder and lead pastor of Christ Church, a thriving 8,500-member multiracial, multisite worship community in northern New Jersey. He and his wife, Marlinda, have been married since 1984 and have two adult daughters. Dr. Ireland grew up in Queens, New York and invited Jesus Christ to become the Lord of his life during college. At that time he was an engineering student. Dr. Ireland earned an undergraduate degree in mechanical engineering from Fairleigh Dickinson University and a master’s degree in civil engineering from Stevens Institute of Technology. Shortly after he began working in consulting engineering, he answered God’s call to plant a new church. In 1986, with only six other adults, the Irelands founded what is now known as Christ Church. Early in the life of the church Dr. Ireland sensed God’s heart deeply leading him to become intentional about ensuring that the church would reflect the multiracial mix of society. Dr. Ireland poignantly remembers the moment he tearfully embraced the church’s God-given mission to unite people to God and people to people. “I was on a routine errand for my then pregnant wife in a local supermarket when suddenly I became mesmerized by the melting pot of races gathered in the store,” Dr. Ireland says. “At that precise moment I heard the Holy Spirit speak this question to my heart, “David, why can’t it be like this in My house?” I knew right then and there that God wanted me to grow and lead a multiracial, multiethnic congregation. 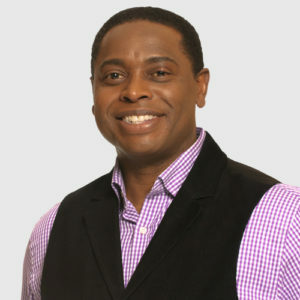 “While leading Christ Church, Dr. Ireland has also authored some twenty books including What Color is Your God?, Secrets of a Satisfying Life, Failure is Written in Pencil, Perfecting Your Purpose, The Skin You Live In, and The Kneeling Warrior: Winning Your Battles Through Prayer and has earned a master’s degree in theology from Alliance Theological Seminary and an earned doctorate degree in organizational leadership from Regent University. He completed his post-doctoral education at the University of Pennsylvania and formerly served as an adjunct professor at Drew University focusing on training doctoral students in the area of leadership and church growth. Diversity consultant to the National Basketball Association, Dr. Ireland leads chapel services for the New York Giants, New York Jets, and at the U.S. Pentagon. Dr. Ireland has appeared on numerous television shows including The Dr. Phil Show, The CBS Evening News, and The 700 Club. Through his community development corporation, he offers a home for victims of domestic violence, a youth leadership institute, and a statewide abstinence-based program offered in partnership with New Jersey schools. The Reverend Ireland is an appointed member of the Governor’s Advisory Commission on Faith-Based Initiatives and serves on the boards of Nyack College and Alliance Theological Seminary.